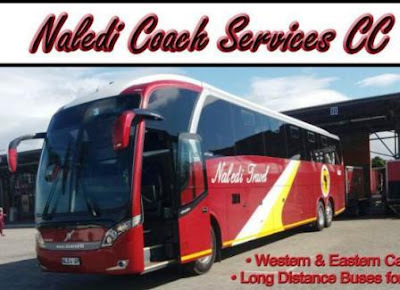 Naledi Coach Service CC Is a Cape Town based bus services which play the Long distance trips in the Western and Eastern cape. It is the giant and well established company in the regions serving for Individual travelers, commuters, and groups in special order. Their Coaches are of high quality standard and they have invested much in the modern luxury buses. 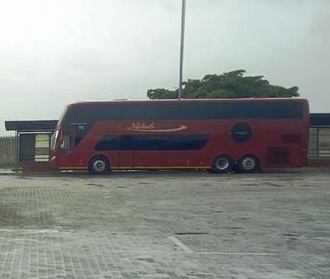 They have Scania Marcopolo Double decker and Ordinary Scania Marcopolo as well. 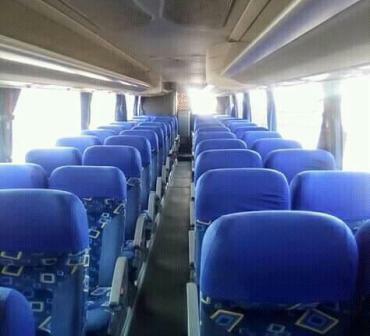 Their buses classified as Semi Luxury and They have other buses which are of Luxury class. All of their Buses are equipped with an A/C services which serve for their customer all the way long. While You are travelling with Naledi Coach, You will enjoy On board entertainment like Television services, music system as well as charging system for you to care for you smart phones. Their buses have 2 by 2 seating configurations, enough legroom as well as reclining seats. 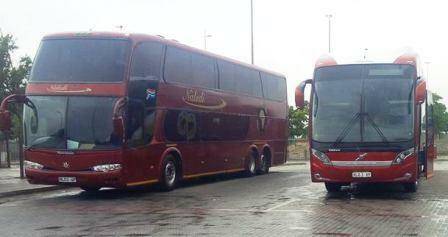 They are serving for passengers in the Western and Eastern Cape For Public Transport in the Long Distance travel. They are providing daily services to their customers within the regions with fair prices. Their buses are also available for special hire within South Africa for special groups, communities, schools, Tourist and every one who are in need with their services.